Whether you play competitive sports, exercise regularly, or you just enjoy an active life, you can develop a sports injury. When that happens, Arun Kandra, MD, and Vivek Das, MD, at Premier Spine & Pain Management can support your recovery and relieve your pain with interventional treatments that target the source of your pain. It’s important to seek treatment at the first sign of a sports injury to avoid worsening the problem and developing chronic instability. To schedule an appointment, call one of the offices in New Jersey or Pennsylvania, or book an appointment online. The practice has locations in Easton, Pennsylvania, and Somerset, Hillsborough, Succasunna, and Middletown, New Jersey. Although exercise is essential for your physical and emotional health, all types of activities place stress on your body and put you at risk for injuries. This is especially true if you engage in repetitive movements, participate in strenuous or contact activities, or you’re a professional athlete. 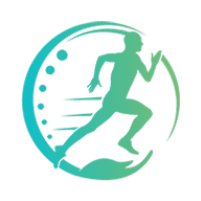 Certain types of movement are more likely to cause injuries, such as repetitive impact, twisting movements, overhead movements, weight loading, and suddenly changing directions while running. The hallmark symptoms of a sports injury include pain, swelling, limited movement, or inability to use the affected part of your body. If you suffer a fracture or sprain, you develop telltale bruising. In the case of a shoulder injury, your shoulder joint may feel loose, like it could dislocate. Shoulder injuries also affect your arm strength and movement. When a nerve is injured or compressed, the pain may radiate along the full length of the nerve, affecting your arms and legs. Nerve damage also causes burning, electric shock-like pain, muscle weakness, tingling, and numbness. The first step is to give the damaged area time to rest and heal. You’ll need to modify your activities or temporarily immobilize the area. Although surgery is usually the last step taken, some types of sports injuries require surgical intervention as a first-line treatment. Once you begin rehabilitation or return to activity, you may still have pain. The experienced doctors at Premier Spine & Pain Management provide many types of interventional treatments that offer effective pain relief. 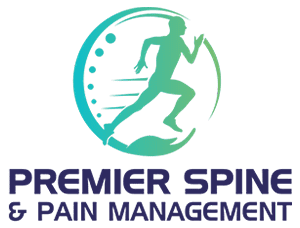 Your doctor at Premier Spine & Pain Management may recommend injections or nerve blocks that provide significant and immediate pain relief so you can participate in rehabilitation. You may also be a good candidate for regenerative medicine therapies such as stem cell treatment and platelet-rich plasma (PRP) injections. These treatments relieve your pain and accelerate healing by stimulating new tissue growth. If you suffer a sports injury, call Premier Spine & Pain Management or book an appointment online.